DataBind to HPCC ECL queries using standard Java Database Connectivity. Integrate Java/J2EE applications with HPCC systems like LexisNexis! The HPCC ODBC Driver is a powerful tool that allows you to connect with live HPCC ECL query data, directly from any applications that support ODBC connectivity. Access HPCC systems like LexisNexis like you would a database - read, write, and update data through a standard ODBC Driver interface. Powerful SSIS Source & Destination Components that allows you to easily connect SQL Server with live HPCC ECL query data through SSIS Workflows. Use the HPCC Data Flow Components to synchronize with HPCC Systems like LexisNexis. Perfect for data synchronization, local back-ups, workflow automation, and more! DataBind to HubSpot using standard Java Database Connectivity. Integrate Java/J2EE applications with HubSpot Contacts, Deals, Emails, Companies, and more! The HubSpot ODBC Driver is a powerful tool that allows you to connect with live HubSpot data, directly from any applications that support ODBC connectivity. Access HubSpot like you would a database - read, write, and update Contacts, Deals, Emails, Companies, etc. through a standard ODBC Driver interface. DataBind to any standard LDAP server, including Active Directory, using standard Visual Studio wizards. Integrate .NET applications with LDAP authentication and directory services! A lightweight server-side application that proxies live LDAP data, making it easily accessible across platforms and devices. Make LDAP data easily accessible to Apps, BI tools, and other systems. The LDAP ODBC Driver is a powerful tool that allows you to connect with live LDAP directory services, directly from any applications that support ODBC connectivity. Access LDAP objects like you would a database - define custom tables for any ObjectClass, and then perform SQL queries through a standard ODBC Driver interface. Powerful SSIS Source & Destination Components that allow you to easily connect SQL Server with LDAP directory services through SSIS Workflows. Use the LDAP Data Flow Components to synchronize with LDAP servers like Active Directory. Perfect for data synchronization, local back-ups, workflow automation, and more! DataBind to Marketo using standard Visual Studio wizards. Integrate .NET applications with Marketo Leads, Opportunities, Channels, Campaigns, and more! DataBind to Marketo using standard Java Database Connectivity. Integrate Java/J2EE applications with Marketo Leads, Opportunities, Channels, Campaigns, and more! The Marketo ODBC Driver is a powerful tool that allows you to connect with live Marketo data, directly from any applications that support ODBC connectivity. Access Marketo like you would a database - read, write, and update Leads, Opportunities, Channels, Campaigns, etc. through a standard ODBC Driver interface. Powerful SSIS Source & Destination Components that allows you to easily connect SQL Server with live Marketo data through SSIS Workflows. Use the Marketo Data Flow Components to synchronize with Leads, Opportunities, Channels, Campaigns, etc. Perfect for data synchronization, local back-ups, workflow automation, and more! DataBind to Excel Spreadsheets using standard Java Database Connectivity. Use Excel Spreadsheets as simple real-time database to power Java/J2EE applications. DataBind to MongoDB using standard Visual Studio wizards. Powerful BizTalk Adapters that allow you to easily connect BizTalk Server with live MongoDB through standard orchestrations. Use the MongoDB Adapters to synchronize with MongoDB document databases. Perfect for data synchronization, local back-ups, workflow automation, and more! Similar to the BizTalk Adapter for SQL Server but for MongoDB documents. Supports meta-data discovery and schema generation for MongoDB entities. A lightweight server-side application that proxies live MongoDB data, making it easily accessible across platforms and devices. Make MongoDB data easily accessible to Apps, BI tools, and other systems. Powerful SSIS Source & Destination Components that allows you to easily connect SQL Server with live MongoDB document databases through SSIS Workflows. Use the MongoDB Data Flow Components to synchronize with MongoDB data. Perfect for data synchronization, local back-ups, workflow automation, and more! Powerful BizTalk Adapters that allow you to easily connect BizTalk Server with live MySQL data through standard orchestrations. 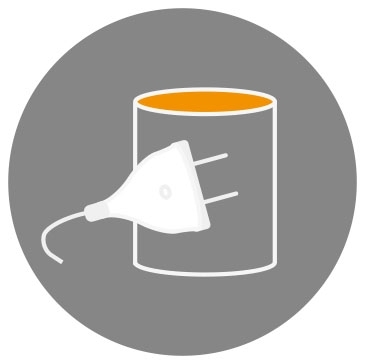 Use the MySQL Adapters to synchronize with data stored in MySQL databases. Perfect for data synchronization, local back-ups, workflow automation, and more! Similar to the BizTalk Adapter for SQL Server but for MySQL constructs. A lightweight server-side application that proxies live MySQL data, making it easily accessible across platforms and devices. Make MySQL data easily accessible to Apps, BI tools, and other systems. Powerful SSIS Source & Destination Components that allows you to easily connect SQL Server with MySQL-compatible database engines through SSIS Workflows. Use the MySQL Data Flow Components to synchronize with MySQL. Perfect for data synchronization, local back-ups, workflow automation, and more! DataBind to NetSuite using standard Visual Studio wizards. Integrate .NET applications with NetSuite Leads, Contacts, Opportunities, Accounts, and more! Powerful BizTalk Adapters that allow you to easily connect BizTalk Server with live NetSuite data through standard orchestrations. Use the NetSuite Adapters to synchronize with NetSuite Leads, Contacts, Opportunities, Accounts, etc. Perfect for data synchronization, local back-ups, workflow automation, and more! Similar to the BizTalk Adapter for SQL Server but for NetSuite entities: Accounts, Customers etc. Supports meta-data discovery and schema generation for NetSuite entities. A lightweight server-side application that proxies live NetSuite CRM & ERP data, making it easily accessible across platforms and devices. Make NetSuite data easily accessible to Apps, BI tools, and other systems.